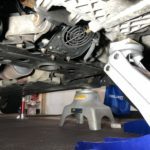 Your MINI motor mounts will fail. It’s a matter of “when” not “if.” The stock rubber bushings age and harden over time especially if you track your car. The stock bushings were designed to reduce vibration not for performance. 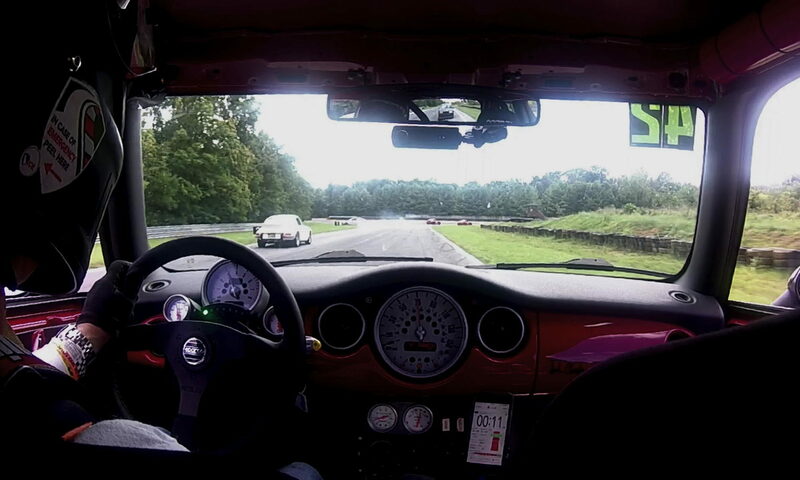 We already replaced the top motor mount on this car, but ended up sticking with the stock mount since we were still daily driving the car at the time and the racing mount was just too harsh for the daily commute. Now that this is a dedicated track car, we’re going to replace the bushings with racing mounts as they wear out. The first one to go is the lower mount. When it comes to replacing the stock mount you have a couple of options. You could just go with OEM which runs about $140 for the mount. Go aftermarket for $40-$60. And then just add a polyurethane insert for about $33. We decided to try the semi-solid mount from Torque Solution. Made of billet aluminum and 70 Durometer polyurethane. It should significantly reduce engine movement without transmitting too much engine vibration to the chassis. Installation is very simple and should take less than 30 minutes. Safely jack the front of your car high enough that you can get a wrench on the mounting bolts. You don’t necessarily have to jack the engine, but we wanted to make sure there wasn’t any pressure on the mount when we unbolted the bracket from the engine. First remove the center bolt of the large bushing with a 16mm socket, and then remove the other 16 mm bolt that runs through the bracket on the small end. Remove the four 13 mm bolts that hold the bracket to the oil pan. Installation is the reverse of removal. 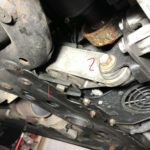 Tighten the four 13 mm bolts to the oil pan and torque to 28 lb-ft. Hand tighten the two 16 mm bolts and lower the engine if you jacked it for removal before torquing to 78 lb-ft.